A 25-year-old Eagle woman died Saturday after the car she was in went off the side of Linder Road and rolled over at least once before ending up on a fence. Jayme Ballard was the front seat passenger. The 28-year-old male driver and a 4-year-old boy in the back seat avoided serious injury in the crash. 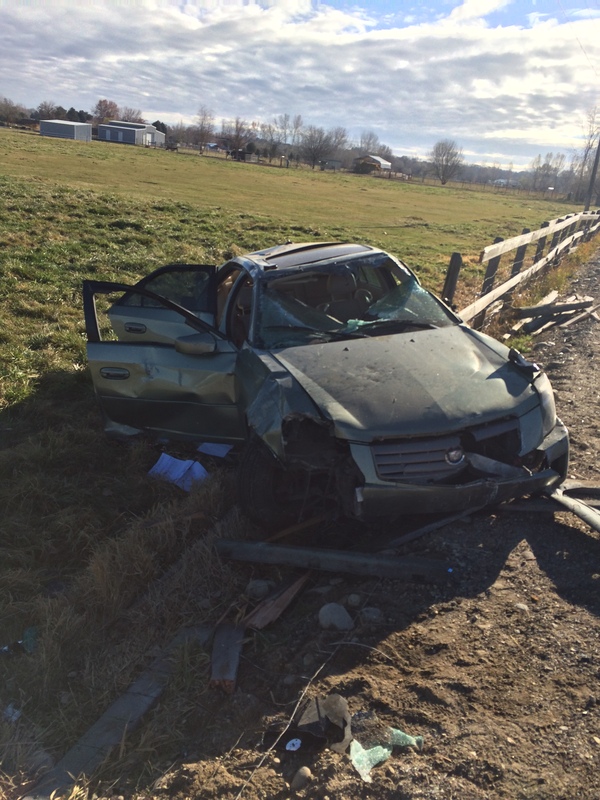 Deputies determined the man was driving a 2004 Cadillac coupe southbound on Linder Road, near the Hatchery Road intersection, just before 11:30 a.m. Saturday when he lost control of the car. The car flipped over and ended up in a field on the east side of the road. The driver and boy were able to get out of the car. Paramedics transported Ballard to a local hospital for treatment, where she was pronounced dead a short time later. It appears everyone was wearing seatbelts. Ada County Coroner officials have determined Ballard’s cause of death was blunt force trauma and the manner of death was accidental. The crash is still under investigation and no citations have been issued.